Dave was born and raised in the Land of the Midnight Sun- Fairbanks, Alaska and currently resides with his chalk artist wife, Shelley Brenner, in Chelsea Michigan. He holds a BFA with a concentration in painting and a BA in theater from the University of Alaska – Fairbanks. He is now the Creative Director at the University of Michigan School of Natural Resources and Environment. His fine art and photography have been featured at multiple venues throughout Alaska and the Midwest. 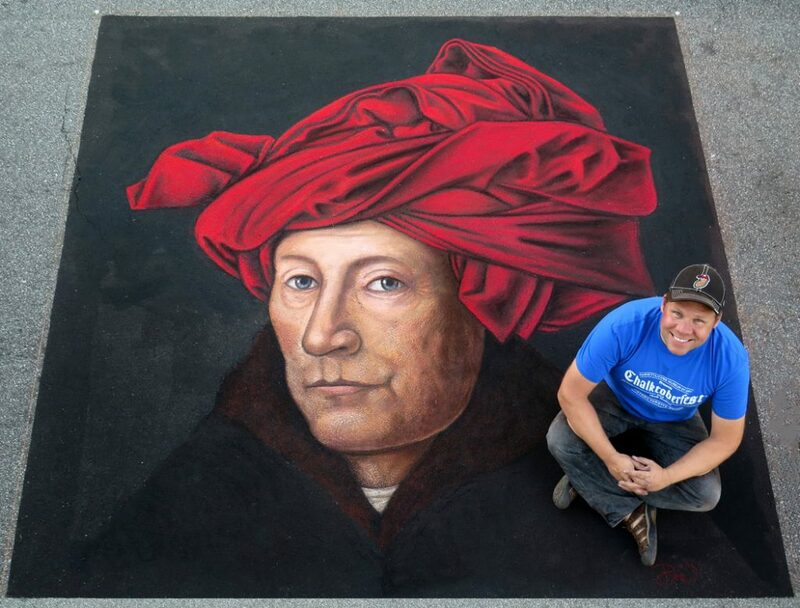 Dave discovered that his dual passions for painting and acting translated seamlessly into street painting. He loves to bring images to life in large scale while engaging with interested passersby.